We’ll be covering exactly what marketing to millennials means to you and your business. 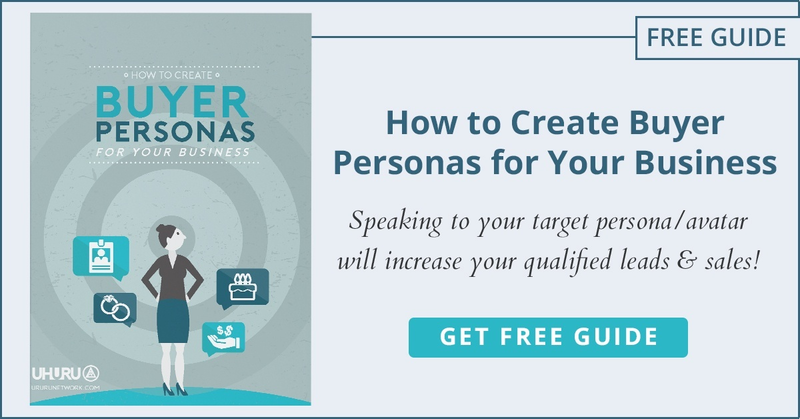 Who they are, what they want, how to reach them, it’s all here. With $200 billion in annual buying power (in the U.S. alone), millennials are defining a new market. Do you know how to reach them? Marketing to today’s 80 million millennials means marketing to the largest generation in history, but many brands consider them the most difficult to reach. We don’t see it that way. In fact, their constant connection to the online world may mean just the opposite. “First, understand and speak to the values that drive them – happiness, passion, diversity, sharing and discovery. Second, understand their realistic lifestyles and experiences and find ways to amplify their reality. Resistant to nearly all traditional marketing, creating a connection with your audience has never been more vital. Not an easy feat when you consider their diminishing attention span and ingrained skepticism toward the mainstream. Are you up for the challenge? Mobile marketing is important, and as marketers you know this. Exactly how important though? Consider that 85% of millennials own smartphones and 46% use them while in stores to compare prices, read reviews, or find coupons. Millennials are online nearly twice as much as any other generation. It’s easy enough to see how. They spend most of any given day with their eyes glued to their phone screen. Moreover, they spend nearly an hour a day on the Facebook app, which is why the social media giant can account for 78% of their revenue to mobile ads. Facebook has a baseline of 1.55 billion active accounts, 1.39 billion of them being mobile users. Eighty percent of Twitter’s users are mobile. Instagram and Snapchat are exclusively mobile. That’s a whole lot of marketing potential. When marketing to millennials on a mobile platform, you need to tell a story. Engage your audience with entertainment and you’ll draw them in rather than getting swiped past without a second thought. Sure, this is true when it comes to marketing to any generation. With millennials, it’s the only way to reach them. Trust translates to sales, and millennials simply don’t trust traditional outbound marketing. What they do trust is expert and peer reviews, along with informative content and how-to materials like blog posts, e-books, and videos. They need to feel that the content was created with them in mind and with their best interests at heart. Thrill, entertain, and enhance. For example, your millennial photographer friend is far more likely to show you Nikon’s latest series of tutorial videos than their ad in this month’s Popular Photography. Create content that naturally introduces them to your brand or product. Instead of selling, create content that is engaging, informative, entertaining. They need to feel it was put there to improve their lives. Transparency is the name of the game. Say you’re the marketing director of a boutique hotel chain. You could create a video series—let’s call it “The Untourist”—which highlights all the best ways to experience the places where you have hotels, but in a unique way. Each video would show viewers how to avoid tourist traps, find the best food, and avoid missing out on what makes each location unique (culture, nature, architecture, etc.). Your audience is introduced to your brand in a way that establishes trust without ever being sold to. Sure, your mom may be on Facebook, but millennials live and breathe social media. Thirty-seven percent of them say they feel like they are missing out if not on Facebook or Twitter daily. When you’re marketing to millennials, you’re also marketing to their networks. They feel like everyone needs to be included so they share, like, comment, repost, and pin. It’s easy enough to see how 73% of millennials are influenced by the opinions of others before making a purchase. Use these social groups to your advantage. Create contests for online users in order to engage them. Send special offers to your online fans. Build a community around your brand that they can be a part of; the more interactive the better. Creating a shareable experience is millennial marketing gold. Design an event, resource, or product that they want to be a part of, either firsthand so they can share it or secondhand through the shared experience of one of their peers. Cultivate relationships with your audience in order to highlight your expertise and earn their trust along the way. This group’s values and life goals are dramatically different than those of previous generations. Millennials as a whole prioritize happiness and life experience over material possessions and status. So how do you form a relationship with your millennial customer? Well, 42% of millennials have expressed interest in assisting in future product development with their favorite companies. Bring them in on the ground level, consider their input, and make them feel heard. For instance, if your outdoor recreation company is creating a new backpack, you could survey groups on different social media sites to get opinions on colors, pocket dimensions, strap width, etc. Then you hold a contest to design the water bottle that will come with each pack and give away an awesome backpacking trip for two to the winner. You’ll be building trust in your brand, as well as creating a drove of supporters for your product long before it ever goes into production. Foster the bond with your brand by engaging your audience as much as possible. One more thing: Be sure to walk like them and talk like them. Speaking to a millennial as one of their peers helps to establish the trust that is essential to cultivating a relationship with your brand. There it is, your roadmap to marketing to millennials. Millennials are shaping the future of marketing as a whole and those who are late to get on board may miss this train altogether. Now go put this article to good use and design a powerful strategy for reaching this game-changing generation.